So what happened to the Thomas Brothers and the guide company that bears their name? 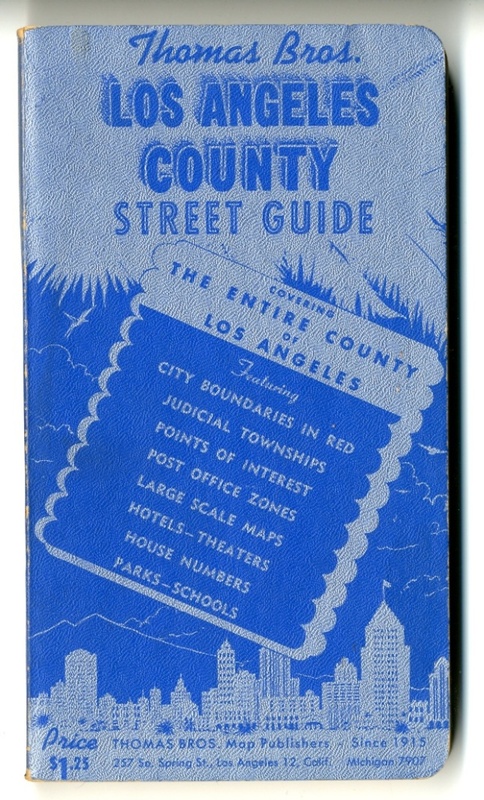 And what was the guide's significance to Los Angeles? Let's explore. 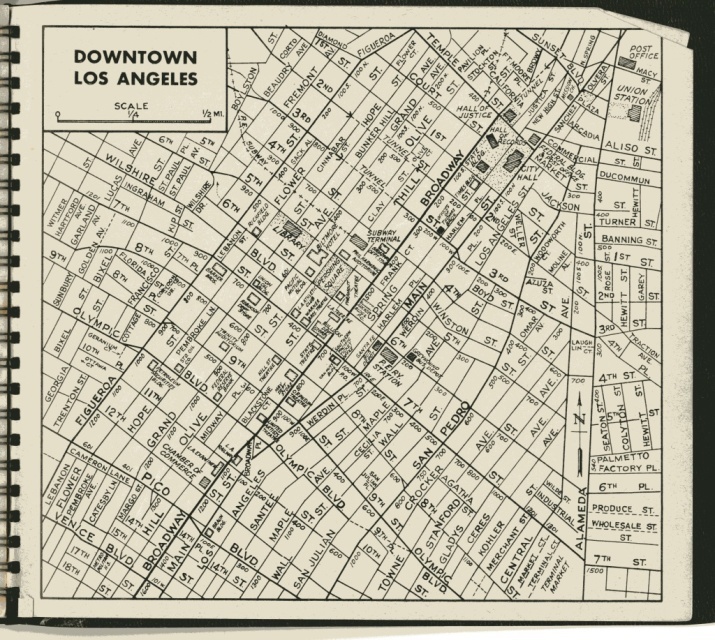 In 1940, the company moved to Los Angeles at 257 S. Spring St. downtown., where it grew its inventory. 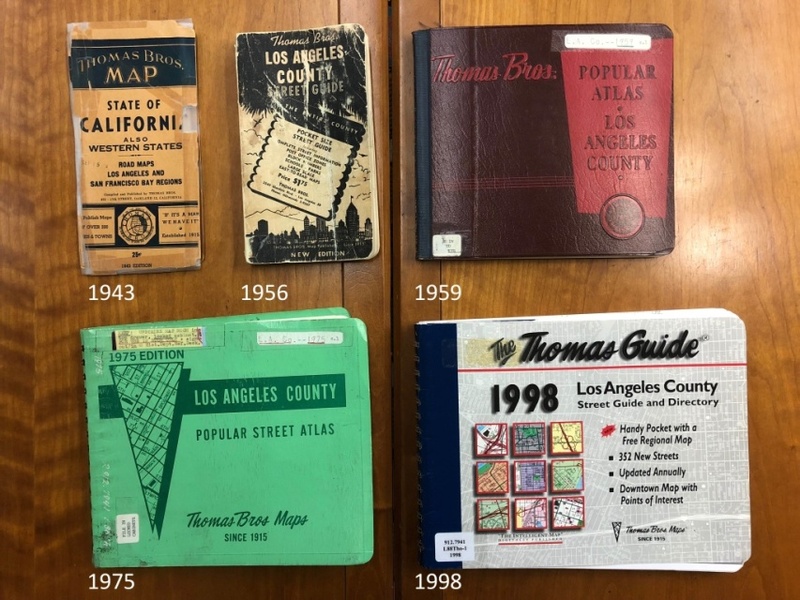 Glen Creason, the map librarian at downtown's Central Library who takes care of a collection of nearly 250 Thomas Guides, said they initially made fold-up maps that could fit into a '40s men's suit pocket. In 1945 they started the book format that we still recognize today, sized to fit inside a glove compartment. In 1955, George Coupland Thomas died with no heirs, leaving the company to his widow. That's when the company was bought by its attorney, Warren Wilson, and his business partner. 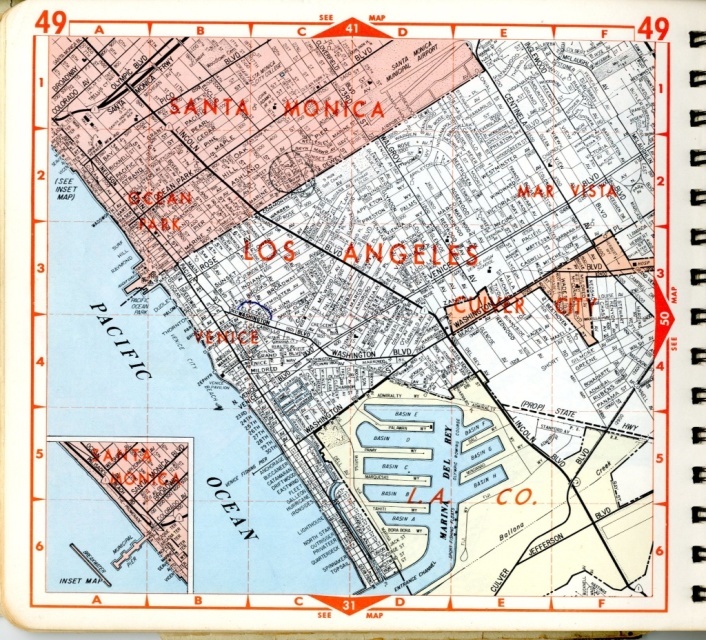 The map company continued to grow in the 40 years under Wilson. In the 1970's, he bought out the whole company and moved it to Irvine. 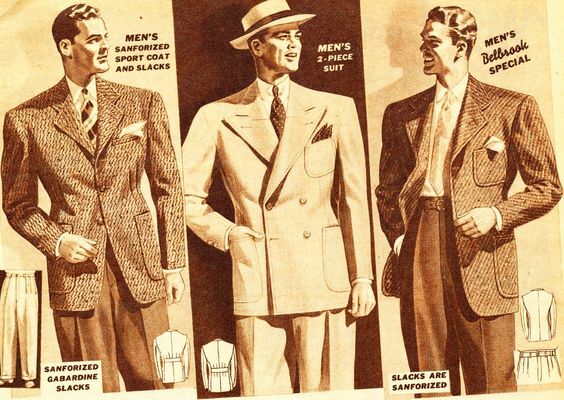 Even as Thomas Bros. grew to dominate the map market on the West Coast, many Angelenos didn't realize that Thomas Bros. was a fairly small company with less than 250 employees. 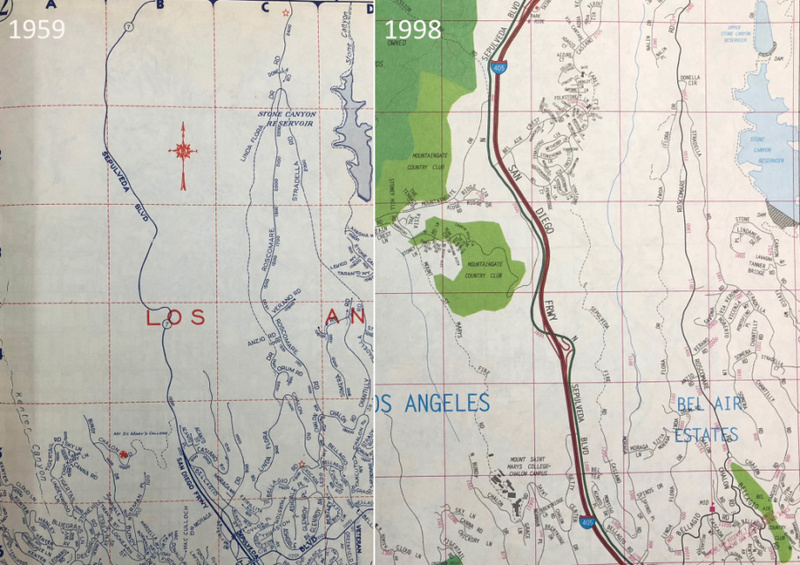 In the 1990s, the company made a computer database of its maps with a system for cartographers to update and edit the information, à la Wikipedia. It also started selling map data to utilities and cities in California. According to Nathanson, the attempted entry into the beltway was costly and ultimately the company didn't have the brand name or resources to compete with already established map companies. Meanwhile, in-dash car navigation systems and websites like MapQuest became more popular. 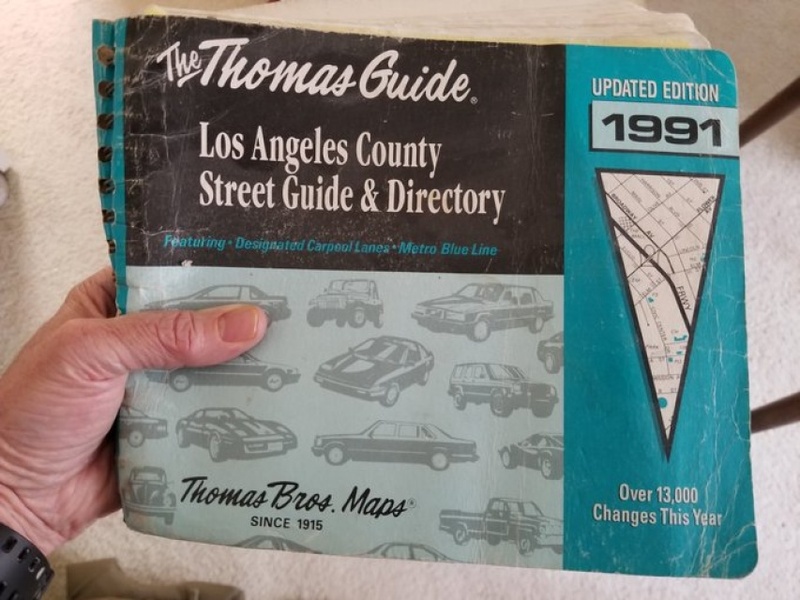 A larger map and Atlas maker called Rand McNally had been trying to buy Thomas Bros. Maps and Nathanson said his grandfather could see the writing on the wall. Toward the end of 1998, Wilson made a deal to sell the company to McNally. He said it has since been bought and sold by venture capitalists. Some versions of the Thomas Guide can still be bought, but for the most part, they've faded from prominence. "I think [Thomas Guides] are way more important here than they are in most cities," Creason said. "Just a regular guy could drive up to the Angeles National Forest or to Venice," Creason said. "Street guides opened the city up to the common man." Editor's note: A version of this story was also on the radio. Listen to it here on KPCC's AirTalk.